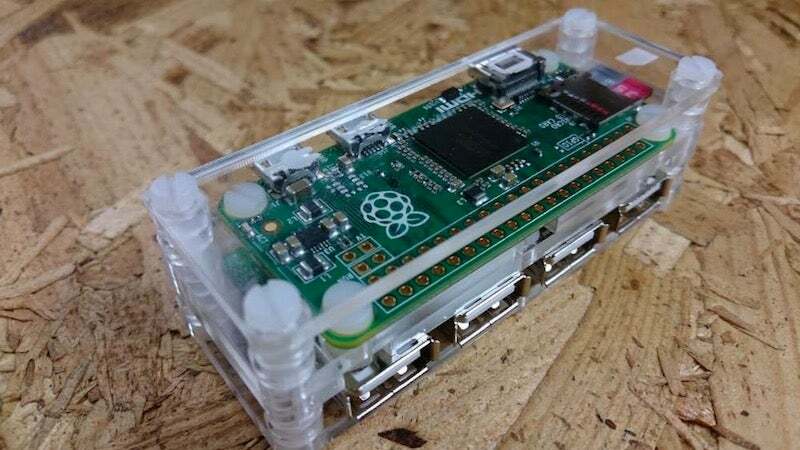 The Raspberry Pi Zero has only one USB port, but you can always add more with a powered USB hub. Over on Circuitbeard, they show off how to do so in a fashionable way. Essentially, Circuitbeard's hacking apart a small USB hub (hubs such as the Belkin F5U404 are well suited for this), adding in a short USB cable, then a bit of wire. The guide uses parts of Frederick Vandenbosch's guide, but simplifies it to avoid the trickier soldering portions. From there, you'll also need to laser cut some plastic sheets (as always your local hackerspace can always help you out here), then screw it all together with a set of M3 nuts and bolts.